How do you create a self-sustaining value creation engine with raw materials that are not necessarily suited for innovation? imagine.GO has a method for creating an infrastructure that acts as virtuous cycle of innovation for your company. A virtuous cycle is a complex chain of events that reinforces itself through a feedback loop and produces favorable outcomes. 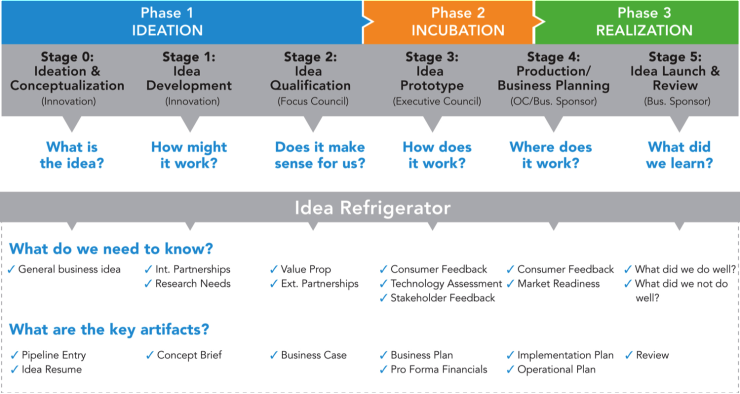 Is your company familiar with the concept of open innovation? Are you leveraging the resources that are available to you from customers to vendors to partners? Have you considered building an accelerator to boost your own innovation culture? Healthcare companies must become more innovative – but are their very natures preventing them from realizing success? Learn how can you take the best of what is necessary and combine it with the best of what is available – and form something both new and necessary. This is where the idea of innovation as a virtuous cycle comes into play. Each of the parts of the virtuous cycle creates individual value, as well as shared value to the whole ecosystem. Thus, the sum of the parts becomes somewhat greater than the whole. The virtuous part produces value in one step of the cycle; you give rise to value and opportunity in the others. 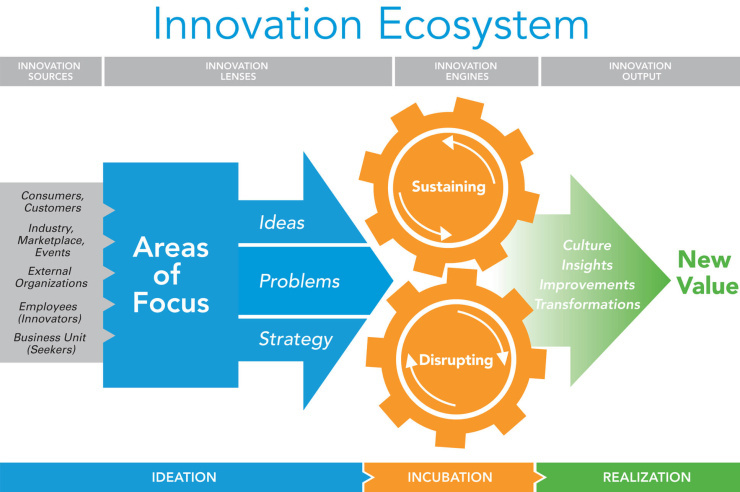 Done right, innovation as a virtuous cycle catalyzes the next “right” ideas. imagine.GO has a method for building innovation into an organization’s people, process, technology, and products. We call this our Innovation Blueprint. It is part of our modelH platform, and it couples deep healthcare domain expertise with the principles of disruptive innovation. Contact us for more detail, or to engage our team in a project or to have us provide your stakeholders with a workshop on innovation strategy and ecosystems.